This Demonstration shows a polar vector, denoted by a straight line arrow, and an axial vector, denoted by three rotating arrows, with an option to use an arrow via the right-hand rule. These objects are not, in general, interchangeable. This Demonstration shows why—they behave differently under reflection and inversion. 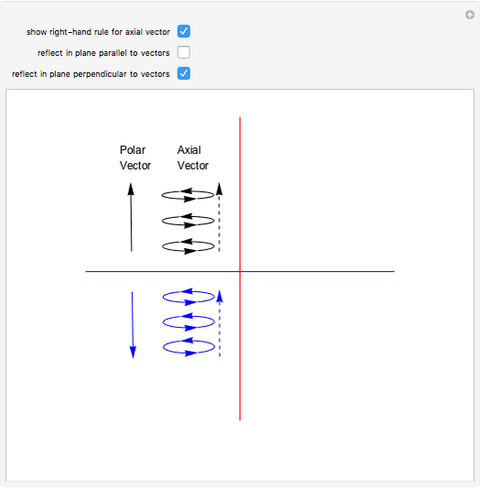 •et; Reflection across a plane parallel to the vectors keeps the direction of a polar vector and reverses the direction of an axial vector. 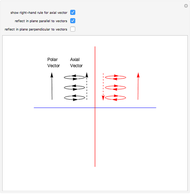 •et; Reflection across a plane perpendicular to the vectors reverses the direction of a polar vector while keeping the direction of an axial vector. •et; Inversion reverses the direction of a polar vector, but leaves an axial vector invariant. 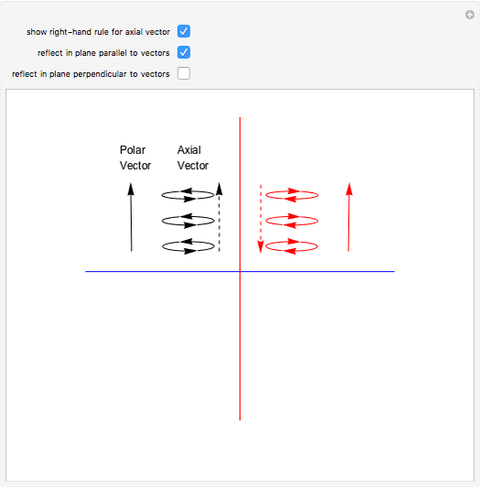 An axial vector, also known as a pseudovector, occurs most often as the cross product of two polar vectors. 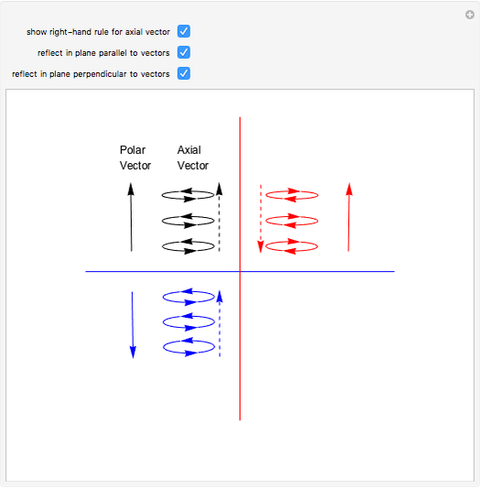 An axial vector resembles a polar vector in some ways: although it reflects differently, it translates and rotates exactly like a polar vector. 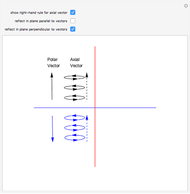 In schematic diagrams we can use an arrow to denote an axial vector via the right-hand rule. This says to wrap your right hand around the rotating object with your fingers pointing in the direction of rotation and your thumb perpendicular to your fingers. The direction your thumb points is the direction we use for the arrow. S. L. Altmann, Icons and Symmetries, New York: Oxford University Press, 1992. 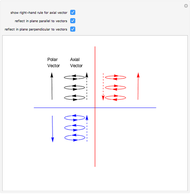 Ted Frazier "Polar versus Axial Vectors"